I created a monster. If I could delete this thread I happily would as it’s been transformed from a joyful celebration to a dog fest. I don’t cook on my Yoder a lot these days (got a bigger cooker) but it has never once let me down or failed to produce quality results. It boils down to how you approach your cooks. There’s the light it and cook approach and there’s the light it and obsess approach. I prefer the former. You created an random thread topic that evolved into something else that you thought. 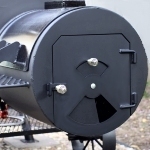 I think Slamkeys did a great job... Not destroying "your" thread but have some great input and invested lots of time to actually have some very useful information about the Wichita smoker. Maybe he is right, maybe not... But it's for sure a very deep testing he did on the Wichita, and remember Yoder did improve their smoker design. So Yes there are a problem with Wichita. Not saying it's broken, but there is for sure room for improvement from Yoder. If I had bought an Wichita, and had all those problems that most people have, I would have it returned and asked for my money back. Now I probably will be and happy Yoder customer instead. Dirty Dawg wrote: I created a monster. If I could delete this thread I happily would as it’s been transformed from a joyful celebration to a dog fest. As I said back on page 4... This should have been broken into two separate threads IMHO. Glad you're still plugging away with the Wichita and glad you're still cooking in general. Hijacking a thread is hijacking a thread; this absolutely should have been a separate post. I’ll add that I do wish I’d bought a Kingman but only for the additional space. 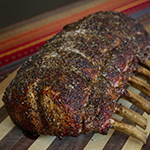 I’m still cooking, catering a bit, working toward a full-on bbq business, and it all started with my Loaded Wichita. Enough said. Totally agree that best would be to split it. I don't really get the "hijacking" claim either, considering you didn't even have the Wichita in your possession when you started the thread, and you specifically called out the heat management system and weld quality, and then asked for advice. As an owner who actually spent time using the Wichita, I had recent experience with bad welds and flow issues due to the heat management system. I didn't realize all "advice" had to be glowing. If my experience had been stellar I would never have "Googled" for Wichita issues in the first place, which is what led me here. Add me to the list of people who wish they'd bought a Kingman instead. Go ahead and delete the thread, that seems to be the trend right now. Why am I not surprised you don’t get it? Believe me, if it were within my power this thread would be gone already. Might be wise to start a thread specific to your observations. Or maybe that’s too much trouble? Dirty Dawg wrote: Why am I not surprised you don’t get it? While I do appreciate the offer and have considered removing my posts as well, that would leave us with a nonsensical thread that I suppose would then have to be addressed by moderators. It appears there is no simple, effective response. Dirty Dawg wrote: While I do appreciate the offer and have considered removing my posts as well, that would leave us with a nonsensical thread that I suppose would then have to be addressed by moderators. It appears there is no simple, effective response. That's exactly how the Yoder forum threads ended up - nonsensical. They have responses to deleted posts all over the place, not to mention they didn't allow anyone to fix their photo links after the Photobucket ransom debacle, so many of the photos are missing too. I think a mod could just take all the posts after my initial post and move them to a separate thread, since I hijacked the thread 5 months after it went dormant (Apr 26 to Sept 30). We'd have to give it a new title, something like "Just Bought a Yoder Loaded Wichita - Tarantino Version." At least you can claim ownership of the longest thread on this site. There must be some prize for that! The things I find on YouTube are simply amazing. This guy bought a Kingman with a square firebox and a competition cart, and after many cooks and "learning his cooker" he has decided he needs to use a fan to keep this thing flowing when there is no wind outside. You can't make this stuff up folks. With the comp cart he can move it around easily to take advantage of the prevailing winds, but on still days he needs a fan. When he opens the firebox it looks like there's a fair amount of back pressure because smoke comes pouring out of it. I also noticed when he opens the cooker there is a surprising lack of smoke inside it. That square firebox might not flow as good as the round one. 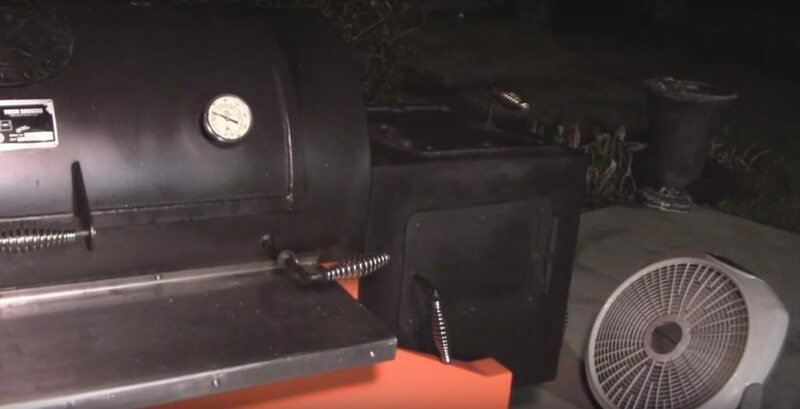 When he first started using that Kingman he did the entire brisket cook on it, but now he transfers the meat to his YS640 to finish it off so he can sleep while it's cooking. You’ve missed a golden opportunity to start the Why I Hate Yoder thread. Dirty Dawg wrote: You’ve missed a golden opportunity to start the Why I Hate Yoder thread. I just wanted to make sure Darkfix orders a fan for his Kingman so he'll be prepared when it arrives.